Presenter: David E. Scharff, M.D. The Visible and the Unspeakable. Willy Apollon, Danielle Bergeron, Lucie Cantin will address the position of psychoanalysis in contemporary culture. They will explore the interface between neuroscience and psychoanalysis and will draw a contrast between psychoanalytic and psychiatric treatment of psychosis – as informed by their 27 years experience at “Le 388” – the psychoanalytic treatment program for psychotic young adults. Illustrated by three case studies with commentary and teaching by the analysts at GIFRIC. - a conversation with the curator of Darger’s work, Kiyoko Lerner. The Intuit Gallery houses The Henry Darger Room Collection that affords a view of the artist’s studio, the materials with which he worked and samples of the creative result of his prodigious effort. In our post-modern era the certitude that scientific progress will resolve all problems that plague humanity has been found wanting. In the field of mental health, behavioral and medical interventions, ameliorate some conditions, but leave untouched the problems presented by the immaterial human subject. By way of contrast the November Clinical Days presents an opportunity for clinicians, scholars and artists to learn about a particular Lacanian perspective nourished by 27 years of rigorous work at “Le 388” the psychoanalytic treatment program for psychotic young adults they founded in 1982. Their efforts resulted in 2/3 of chronically psychotic individuals having returned to productive and fulfilling lives in the community. This achievement rested upon a reformulation of Freudian metapsychology from a Lacanian point of view - a process that was nourished in its development by the clinical breakthroughs that evolved from this change in perspective. This unique theoretical perspective not only extended clinical work to psychotics, but also resulted in advances in the treatment of neurosis and perversion and into certain resistances frequently encountered in the treatment of women. GIFRIC (Freudian Interdisciplinary Group for Research and Clinical and Cultural Interventions) received the Hans W. Loewald Memorial Award in recognition of its contribution to psychoanalytic theory, history, and application, most notably concerning the development of the psychoanalytic treatment of psychosis. Normally, this prize honors a single person but the IFPE (International Federation for Psychoanalytic Education) committee decided to recognize GIFRIC as an organization. 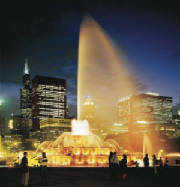 The prize was awarded at the annual IFPE congress held November 2004 in Chicago. The creative work of Henry Darger stands as an example of the triumph of the human spirit over personal catastrophe. 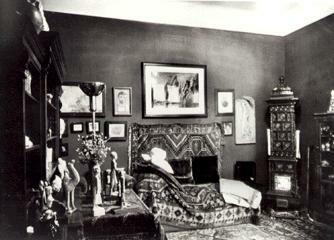 has reconstructed the artist’s living space and studio – as the Henry Darger Room Collection. In this installation are displayed tracings, clippings from newspapers, magazines, comic books, cartoons, children’s books, coloring books, personal documents, and architectural elements, fixtures, and furnishings from Darger’s original room. - to converse with the curator of Darger’s work, Kiyoko Lerner. Registration for full conference is limited to 50 people – on first come first served basis – so please register early. Lori Bohm, Ph.D., and others. Dr. Kwawer will locate the origins of interpersonal psychoanalysis in early debates and dissensions within the Freudian circle, as these emerged from both clinical experience and basic conceptualizations of psychoanalytic process. Clinical vignettes will highlight fundamental contrasts between interpersonal psychoanalytic approaches and those of classical Freudian and object-relations theories. Most contemporary theorists from all major psychoanalytic traditions now believe that countertransference awareness always has the potential to deepen analytic work. This seminar will address the various ways that countertransference may, indeed, be used productively, while examining as well, how commonly we may fail to use such awareness to promote analytic change. The seminar will examine contemporary approaches to dreams and dream theory. We will consider the causes and functions of dreams and the many ways dreams can be used in clinical psychoanalysis, including to clarify the patient's psychodynamics and the interaction between patient and analyst. We will also consider the significance of the analyst's dreams about the patient. The exquisite tracking of the mutual vulnerability of analyst and patient can maximize the transformative potential of the intersubjective moment. Attention will be paid to issues of being versus knowing in the analytic encounter in the context of a focus on detailed clinical process. Participants are encouraged to bring in their own clinical data for consideration if they would like to. Today analysts trained in ego psychology and modern conflict theory are increasingly aware that the interpersonal relationship between analyst and patient must be incorporated into theory and practice. We will examine and discuss some of the ways interpersonal/relational thinking has influenced analysts from the classical tradition. In this seminar we will explore the origins of relational psychoanalysis and ways in which its sensibilities converge with and diverge from interpersonal thinking. The focus will be on the psychoanalytic process, with special attention to the nature of the analyst's participation and the theory of the therapeutic action of psychoanalysis. The breaching of mutual unconscious enactments between analyst and patient lies at the heart of the therapeutic action of psychoanalysis. Events in the here and now count most, and most significant are enactments. Breaching their mutual unconscious dissociation allows analyst and the patient to develop new perceptions of one another. We will talk about these ideas, and I will present clinical material to illustrate them. Analytic treatment requires both participants to have enough hope, curiosity, courage, and sense of purpose to make the endeavor seem worthwhile. How do we inspire these feelings in our patients and maintain them in ourselves? The presumptive “drive/relational” dichotomy has left us all struggling to integrate an entirely artificial and arbitrary schism. I believe our current focus should be not on competing metapsychologies, but rather on how mind works; how experience is processed and integrated. I will focus on the phenomenology of change, on how the analyst’s interactive presence fosters flexibility and growth. The relationship between intersubjective worlds and the still mysterious internal processes of change must be integrated. The William Alanson White Institute is accredited by the Accreditation Council for Continuing Medical Education to sponsor Continuing Medical Education for Physicians. The William Alanson White Institute designates this continuing medical education activity for Category 1 of the Physicians Recognition Award of the American Medical Association. The William Alanson White Institute is approved by the American Psychological Association to sponsor Continuing Education for Psychologists. The William Alanson White Institute maintains responsibility for the program and its content. The William Alanson White Institute is an approved provider of Continuing Education under the auspices of the Continuing Education Program of the New York State Chapter of the National Association of Social Workers. The “Conflict of Interest Policy” of the William Alanson White Institute requires that faculty participating in CME activity disclose to the audience any relationship with a pharmaceutical company which might pose potential, apparent, or real conflict of interest with regard to his or her contribution to the program. Lori Bohm, Ph.D. Fellow, Supervising Analyst, Director, Center for Applied Psychoanalysis and Intensive Psychoanalytic Psychotherapy Program, William Alanson White Institute; Associate Editor, Contemporary Psychoanalysis; Supervisor of Psychotherapy, City College of New York and St. Luke’s Roosevelt Hospital Center. Sandra Buechler, Ph.D. Training and Supervising Analyst, W. A. White Institute (WAWI); Columbia University; Institute for Contemporary Psychotherapy; National Institute of Psychotherapy; Author, Clinical Values: Emotions That Guide Psychoanalytic Treatment. Mark J. Blechner, Ph.D. Training and Supervising Analyst, WAWI; New York University Postdoctoral Program in Psychoanalysis (NYU Postdoc). Editor-in-Chief, Contemporary Psychoanalysis; Editor, Hope and Mortality: Psychodynamic Approaches to AIDS and HIV; Author, The Dream Frontier. Darlene Bregman Ehrenberg, Ph.D., ABPP, Training and Supervising Analyst, WAWI; Supervising Analyst, NYU Postdoc; International Association of Relational Psychoanalysis and Psychotherapy; Author, The Intimate Edge: Extending The Reach Of Psychoanalytic Interaction. Jay Greenberg, Ph.D. Training and Supervising Analyst, WAWI; former Editor, Contemporary Psychoanalysis; Co-author with Stephen Mitchell, Object Relations in Psychoanalytic Theory; Author: Oedipus and Beyond: A Clinical Theory. Ruth R. Imber, Ph.D. Training and Supervising Analyst and Fellow, William Alanson White Institute; Editorial Board, Contemporary Psychoanalysis. Jay S. Kwawer, Ph.D. Director , Fellow, Training & Supervising Analyst, William Alanson White Institute; Clinical Professor of Psychology, NYU Postdoc: Editorial Board, Contemporary Psychoanalysis. Edgar Levenson, M.D. Fellow Emeritus, Training and Supervising Analyst, WAWI; NYU; Hon. Fellow, Postgrad. Ctr. for Mental Health; Hon. Member, Amer. Psa. Assoc. ; Life Fellow, Amer. Academy of Psa. ; Distinguished Life Fellow, Amer. Psychiatric Assoc. ; Author, Fallacy of Understanding, The Ambiguity of Change & The Purloined Self; 2006 Recipient, Mary S. Sigourney Award for Significant Contribution to Psychoanalysis. Paul Lippmann, Ph.D. Fellow, Training and Supervising Analyst, WAWI; NYU Postdoc; Stockbridge Dream Society; Author, Nocturnes: On Listening to Dreams; pending: Canary in the Mind: On Dreams in the Modern World and A Psychoanalyst in Norman Rockwell Country. Donnel B. Stern, Ph.D. Training and Supervising Analyst, WAWI; NYU Postdoc. Co-Editor, Contemporary Psychoanalysis; Editor, "Psychoanalysis in a New Key" Book Series, Analytic Press; Author, Unformulated Experience: From Dissociation to Imagination in Psychoanalysis. 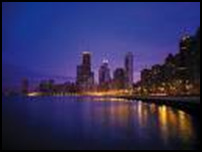 The International Psychoanalytical Association will be holding its 46th IPA Congress in Chicago from July 27 to August 1, 2009. In correspondence with David Coe, the Director General of IPA, we have arranged for Division 39 members to attend the congress at the same rate as IPA members ($735) if our members register for the congress during the early registration period which extends to April 17, 2009. The theme this year is: "Psychoanalytic Practice: Convergences and Divergences"
The top full congress rate should show $735 – note this will be reduced by $40 when a Full Congress or Day Ticket is selected, see the summary at the foot of the page. If the rate shown is not $735 please stop ordering and send an email to congress@ipa.org.uk A higher rate may be shown if you are already in our database as a non-member of the IPA. We will change your status to enable you to benefit from the lower rate. Click Next and you will be taken to the secure Credit Card site. The 2010 Chicago conference will explore the idea of wildness in our work both as a source of energy and a demarcation of limits. What is too turbulent, unruly, outrageous, or “edgy?” What dangers lie at this frontier, and what untapped opportunities emerge in pushing the limits of technique and relationship? Please click on the link below for information concerning how to participate in this conference.